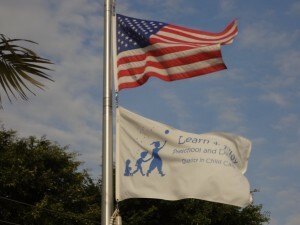 Learn & Play is a fully accredited VPK provider located in the heart of Miami-Dade County, FL and only minutes away from the areas of Doral, Westchester and Sweetwater. At our preschool and day care center we facilitate a nurturing, safe, fun and loving environment in which children will develop physically, intellectually and socially to their full potential. equate enough where we felt our child would be as safe and as well taken care of as when she was with us. This gave us the motivation and incentive to start our own preschool-childcare center. We wanted a place where our own daughter and other children could learn, play, develop, and grow in a safe and caring environment. In 1997, we opened our fist center and have been growing and improving ever since. We now have two fully accredited states of the arts preschools centers. With over twenty one years of experience we know and understand the needs and concerns of each of our children and parents because we too had very high expectations.